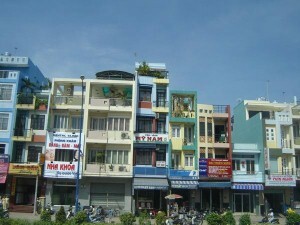 Holiday destinations in Vietnam are characterised by "a heady mix of modern history and ancient culture", according to one travel expert. In 2007, more than four million foreign tourists visited the south-east Asian country, which is often praised for its beautiful natural landscapes and cosmopolitan cities. The country is also a renowned backpacker destination, with travellers often spending time in area en-route across the Asian continent. David Pattison, head of product and marketing at Voyages Jules Verne, said: "The attraction of Vietnam lies not only in the well known, evocative names such as Ho Chi Minh City, Hanoi and Halong Bay, but also in the discovery of less well known but equally fascinating destinations." Mr Pattison continued by praising locations such as Hoi An, Hue and Haiphong for their combination of fascinating history and visitor attractions. For those on backpacking holidays travelling through a number of different countries, one of the most important things to remember is adequate travel insurance. Thousands of holidaymakers are also expected to head to Lapland this autumn in an attempt to catch a glimpse of the Northern Lights.